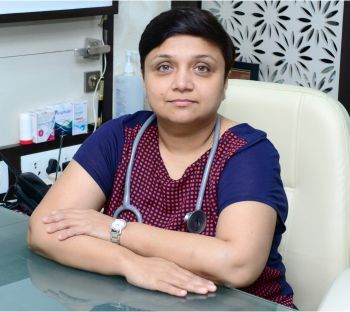 Dr. Sonia Dalal is a pulmonologist as well as a critical care and sleep study consultant in Vadodara. She has ICU, critical care and polysomnography (Sleep Medicine) experience for 15 years. She has taken ICU and critical care training in renowned hospitals like: KEM, HINDUJA AND BREACH CANDY Hospital in Mumbai. She has also been awarded a fellowship regarding sleep study in Australia. After studying and acquiring experience, she started her own hospital by the name of Kalyan in June 2003 at Vadodara. She is doing consulting for various respiratory diseases as well as bronchoscopies and sleep studies for various diseases. She is also engaged with the Sterling Hospital in Vadodara as a Lung Specialist and critical care consultant. Kalyan Hospital is committed to provide efficient, timely and patient-friendly healthcare to its patients, through best medical practices in a clean, healthy and rejuvenating environment since year 2003. 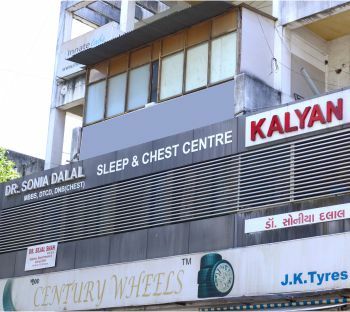 Kalyan Hospital is run by Dr Sonia Dalal; she is the executive director or CEO. It empowered with well-equipped operation theater and an ‘In House Pharmacy’, which provides 24/7 services to patients and its clients. Kalyan Hospital has hired a well-trained nursing staff, medical officer and pharmacist to serve patients proficiently. At Kalyan Hospital, we offer a comprehensive approach to pulmonary diseases including, chronic obstructive pulmonary disease (COPD), asthma, pneumonia, interstitial lung diseases, tuberculosis and lung cancer. With dedicated evaluation & investigation, we try to reach a diagnosis and offer best relevant treatment.